The energy transition is in full swing, but in order to substantially speed it up we need smart solutions for storing energy. S4 Energy’s latest contribution, a unique combination of kinetic and chemical storage, is proving its usefulness on the ground: by helping TenneT TSO stabilise the Dutch grid. 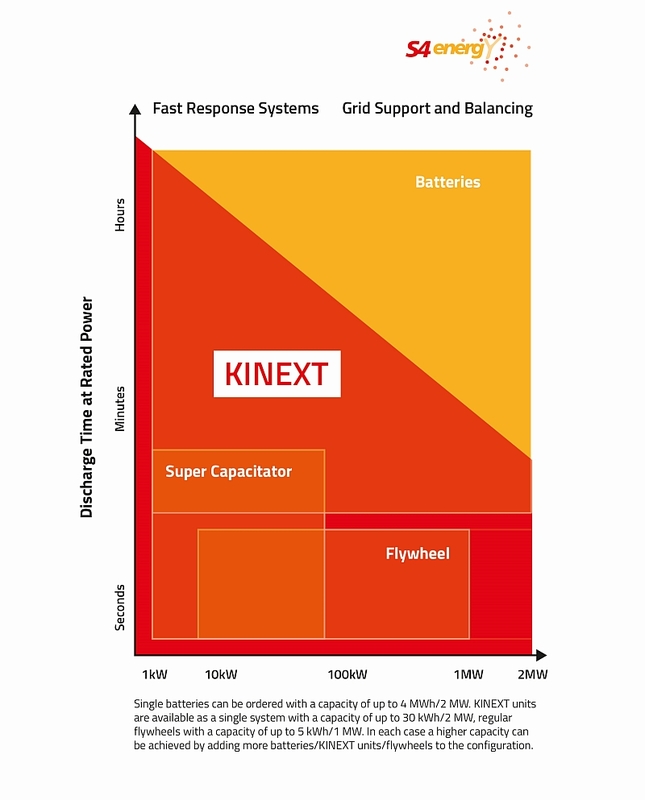 KINEXT technology has a variety of use cases. One of the first customers to spot its potential was Dutch grid operator TenneT TSO. S4 Energy recently started providing FCR services to help TenneT deal with sudden frequency fluctuations, using a unique combination of KINEXT units, battery systems and algorithms which ensure that both technologies are used to their maximum potential. 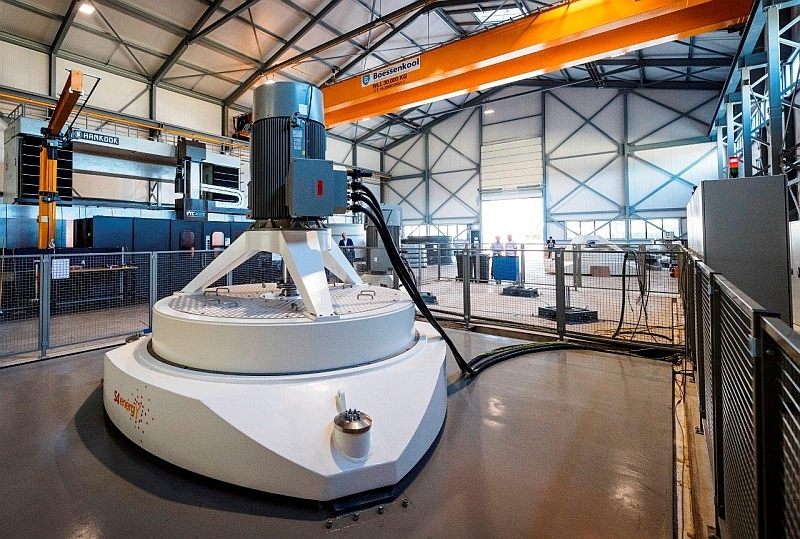 S4 Energy certainly is prepared for a growing demand: the company has invested in a dedicated facility which can produce over 50 KINEXT units per year.